Allow me to introduce to you a new Octopress theme, called Oscailte! Oscailte is an important milestone for me for many reasons. 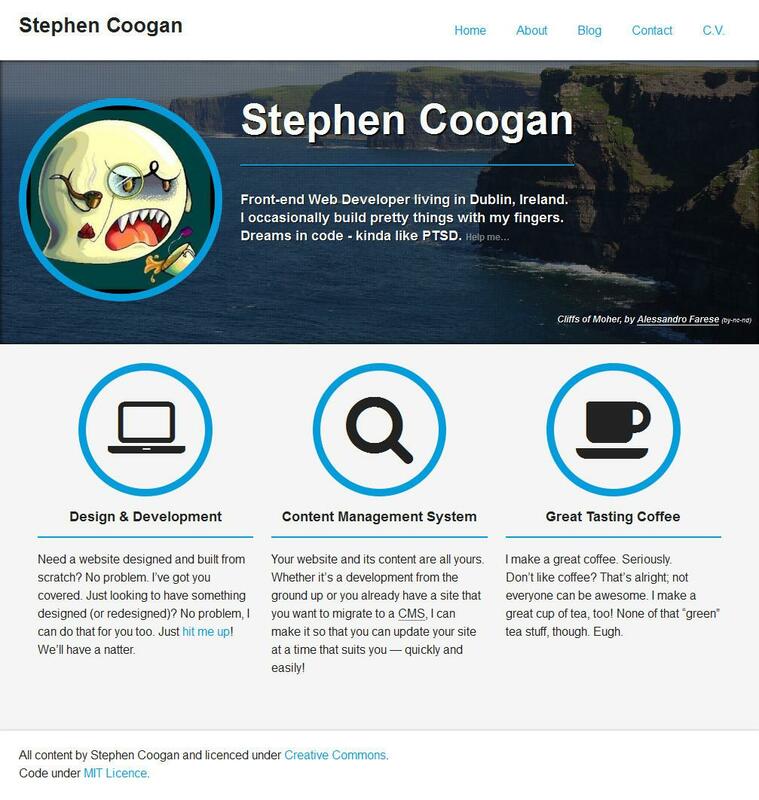 First of all, it’s my first step into creating a theme usable by anybody, not just by me on my own sites! Yay! Secondly, it’s the first open-source project that I’ve put out into the great wild web, free for all to download and scrutinise through Github! But enough about all of this, let’s move on to getting the theme up and running. These installation instructions are available in the theme’s README file which will have the most up-to-date instructions. Oscailte requires that your system be running Sass 3.2.9 (Media Mark) or greater, so you may need to run a bundle update before you run your initial rake generate after installing the theme. You can check your current gem version by running gem list sass. Because Oscailte also uses git submodules to pull in inuitcss, when you run git clone you must add in the --recursive option in order to get it working. Oscailte includes a clean page, separated from the blogging capabilities of Octopress. The theme can be modified to instead use just the blog index as the homepage. Oscailte makes use of the site.email used in _config.yml (if present) to grab and display your Gravatar if you use one. Otherwise, the theme will instead display the default Gravatar logo, which can be changed by replacing the file locally. If you wish to make use of the Gravatar feature, please ensure you use an email address that you do not mind being publicly crawlable by bots/spiders. Oscailte allows you to display links to your other online profiles in a quick and easy fashion. To display the sidebar links to your other profiles, you must add the following to your _config.yml file. Oscailte only supports the above sites, but more may be added as the user sees fit. Oscailte is available on Github under the MIT Licence! I would greatly appreciate any help in both optimising the theme and improving the customisation available to users, so if you want to help out then feel free to submit issues or pull requests! So that’s Oscailte, my first Octopress theme! I learned a lot about both Octopress and theme development from this project. And if you would like to learn anything or just have questions about Oscailte, the feel free to get in touch with me or leave a comment below! Hey! Looks like you've got your Do Not Track setting enabled in your browser.